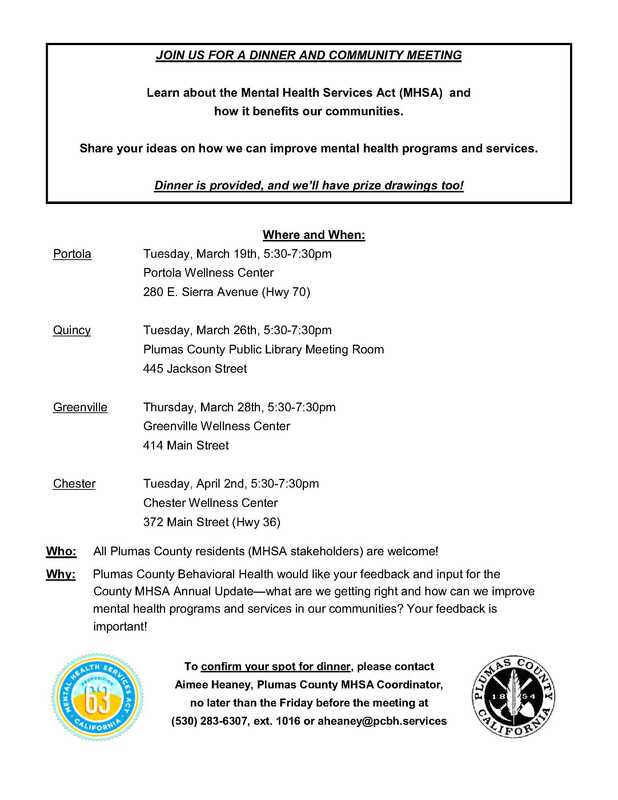 Plumas County Behavioral Health needs your input! We are holding community dinner meetings throughout the county to provide stakeholders (any county resident) with updated information concerning the Mental Health Services Act programs and services. Learn about the Mental Health Services Act (MHSA) and how it benefits our communities. Share your ideas on how we can improve mental health programs and services. Dinner is provided, and we’ll have prize drawings too!